I made my first batch of vanilla extract this spring and I’m hooked. I can taste the difference between homemade compared to store-bought. It tastes so much fresher and I love how I can add vanilla seeds to my recipes once I give the extract a good mix. I really love seeing specs of vanilla in whipped cream. 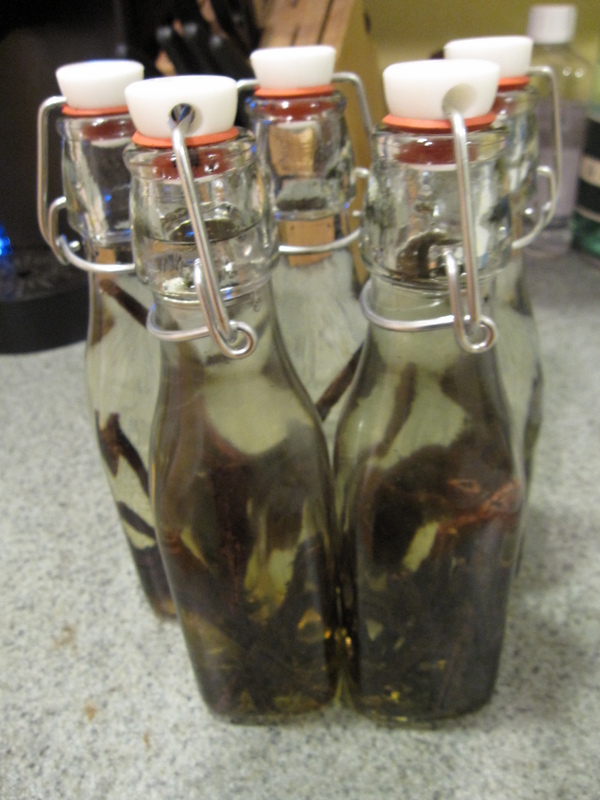 I decided to make more vanilla extract to give as Christmas gifts. 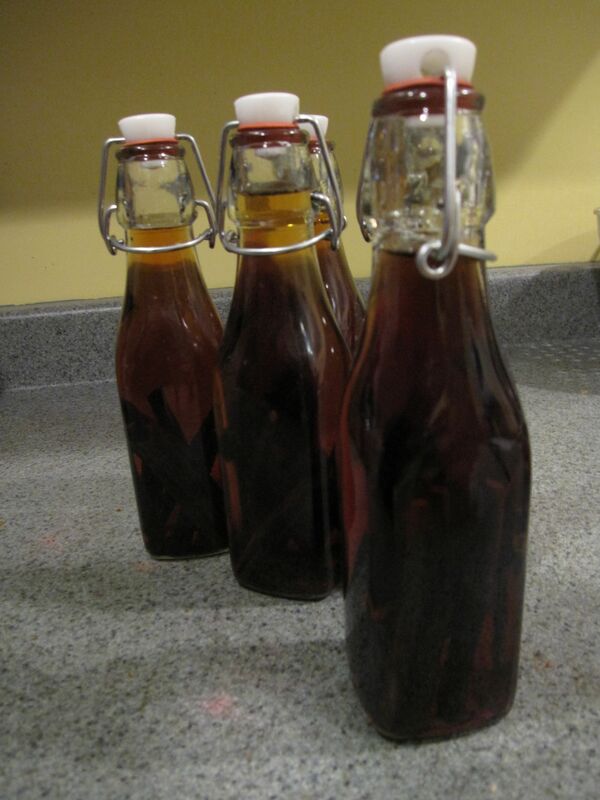 Vanilla extract takes about 2 months before it is ready to use to if you want to give it out as gifts start asap. I started my extract on 10/17 so I will have plenty of time to get it all ready for Christmas. If I did not do it then I would have forgotten about it and then I would be out of luck to give the extract as gifts. When I made my first batch this past spring I used rum since I had it on hand at that point. I think that the extract was good but the rum was quite strong for an extract. I used vodka this time since vodka has no scent, which I like because it won’t compete with the scent of the vanilla. I suggest that when you purchase your vanilla beans you use Madagascar vanilla beans because they have a smooth flavor which translates well for extract. They are also known as Bourbon vanilla beans because the French first planted the orchid vines on Isle de Bourbon. 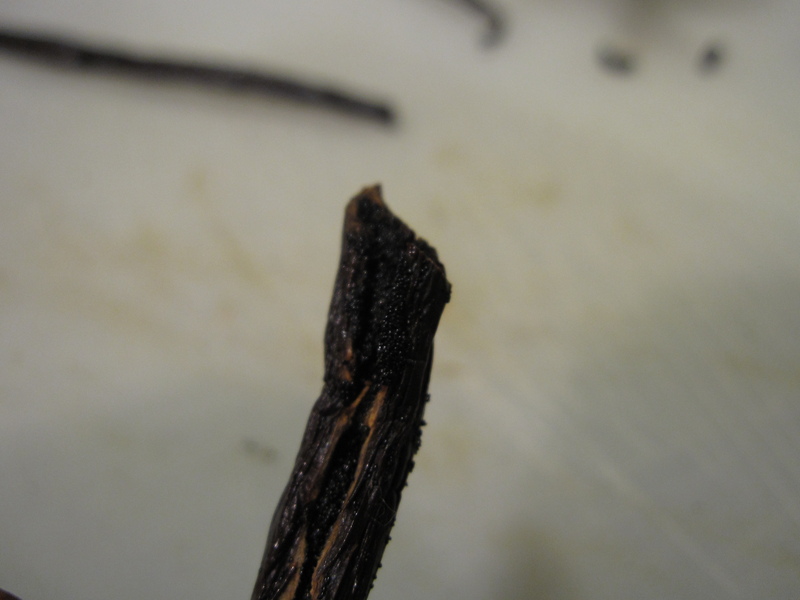 Mexican vanilla beans might have the flavor but some manufactures add coumarin, which is banned by the FDA because it can cause liver and kidney damage. If you decide to use Mexican vanilla beans or products please use a reputable manufacture. 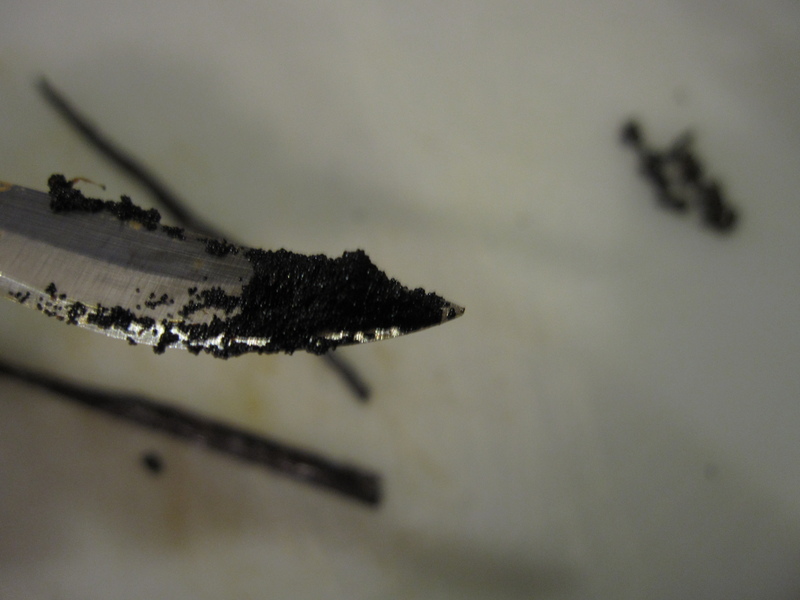 While Tahitian vanilla beans can be used for extract they are not as flavorful compared to other varieties. They are more aromatic, so they are better for scent applications as opposed to baking. I have purchased my beans from Vanilla Products, a store on ebay. I like how they are a high rated seller and offer different types and quantities of vanilla. Don’t forget to get a good vodka/rum! You cant have a good vanilla and a crap vodka and expect great results. Pour 8oz of liquor into a glass container. Split and open the vanilla beans. You can scrape the beans to loosen the seeds. Place vanilla beans into the liquor. Store in a cool dark place for 2 months. *I purchased these glass containers from the Container Store.